​Let TVV offer you an affordable rate to give your guests a world class experience as they pull up to your occasion. TVV has designed a cost effective method of partnering up with several ideal wedding locations to minimize your outlay for a valet service that will provide the convenience of making sure your guests arrive on time and not out of breath. 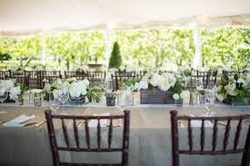 ​Planning your next client's wedding event? Do not forget to include TVV as your preferred valet service to only further the Bride and Groom's guest experience as their patrons pull up in class to a day that you will be remembered for.